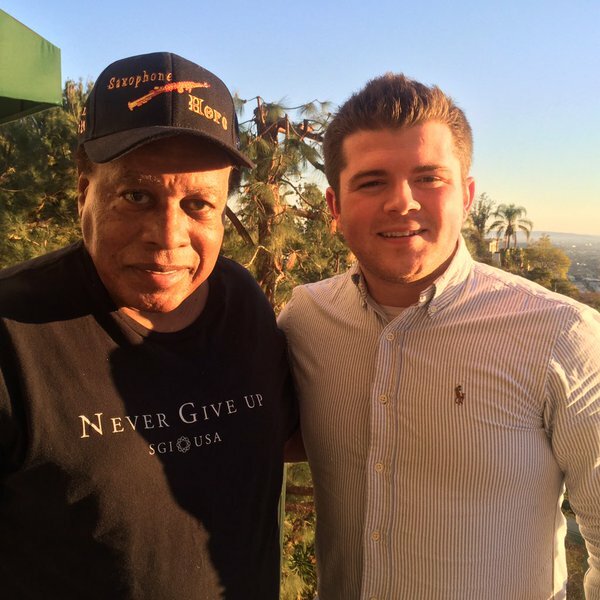 When clarinetist Julian Bliss hung out with Wayne Shorter in L.A. 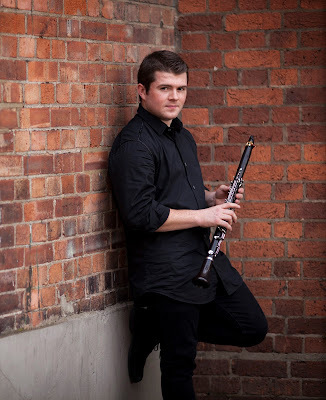 Internationally known on the classical scene as a gifted soloist and chamber musician, 27-year-old British clarinetist Julian Bliss discovered Benny Goodman at age seven. At 21, he decided he wanted to play Goodman’s music. He reached out to pianist Neal Thornton, who knows about jazz and putting bands together. 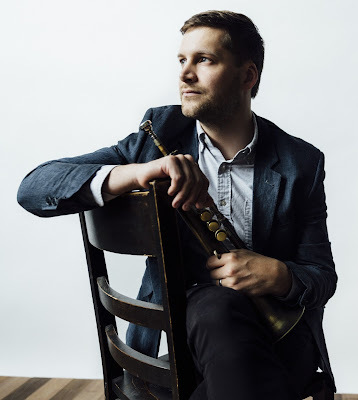 Within a year, the Julian Bliss Septet had gone into the studio and made a recording, “A Tribute to Benny Goodman,” a swinging set that re-creates the sound of swing from the 1930s and ’40s with a modern sensibility and virtuosic playing. The Septet is currently touring the States, and their second stop is at Orchestra Hall in Minneapolis on January 30. On Monday, Jan. 25, Bliss was at the NAMM show (National Association of Music Merchants) in Los Angeles. 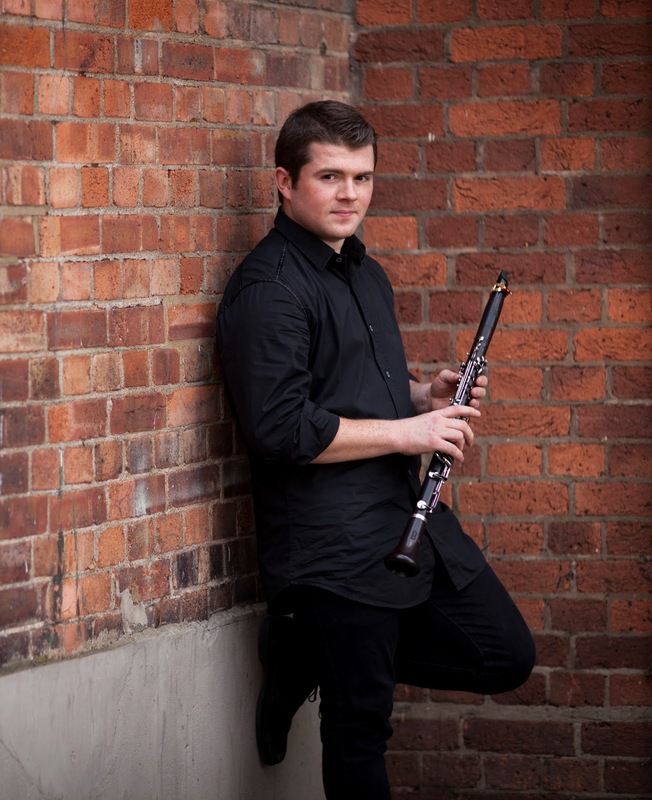 (Along with playing clarinet with major orchestras, chamber ensembles and his own sextet, Bliss designs clarinets for Conn-Selmer.) From reading his Facebook band page, I learned that he also spent time in L.A. with Wayne Shorter. And there was a brief mention of a concerto Shorter is writing, so I was dying to ask Bliss about that, too. PLE: Tell us about your meeting with Wayne Shorter. Julian Bliss: Where do I start? A truly inspirational man. I’ve had the pleasure of meeting up with Wayne three or four times now over the last couple of years, and he’s one of the nicest people I think I’ve ever met. He is so down to earth, so friendly, so chilled out that it’s amazing, and some of the stories that he has – it just blows my mind. He took the time, the first time I met him, to sit down and talk to me for a while, and I really appreciated that in these days where everything moves so fast, and sometimes you meet a musician and it’s a quick handshake and that’s it. It was the complete opposite with Wayne, and his whole outlook on life and music was really refreshing. He’s an amazing man – absolutely phenomenal. The stories that he has … then he comes around [and talks about] Miles Davis and an endless list of musicians, and tells little stories that he remembers from being on tour – it’s just fascinating. I just wanted to take all that information in. I asked him about jazz improvisation and how he started. He used to play the clarinet himself. It’s interesting to learn his journey through music and onto the saxophone and through there. A truly inspirational man and a real pleasure; a real gentleman. Can you share some of what he told you about improvisation, or a bit from one of his stories? We were talking about the struggle of – can you play what’s in your head? You can hear things in your head. You can hear lines, you can hear little phrases, and can you play that on your instrument? In his own journey, from what I hear, he was incredibly competent and amazing at theory. He was telling me about a music theory exam that he had to do. If you stood up [during the exam] you were done. You couldn’t sit down and [go back to it again]. I think he just has one of those minds. He has one of those understanding minds. When it came to harmony, he said he used to hear things; he used to hear lines and little phrases and start to play. I think he has one of those minds that is not bound by just being a classical musician, for example, or just being a jazz musician. He wanted to play good music. Have you ever played with him? Have you played together? No, we haven’t. We sat down and listened to a lot of music, and yesterday he was showing me some of the stuff he’s been writing. No, we haven’t played together, but we did joke about it yesterday. He says he hasn’t played the clarinet for a number of years, but really wants to get back into it. I promised I could hold the clarinet for him and we would play it together the next time I saw him, which would be fantastic. I’m sure he will be phenomenal on the clarinet as well. You have designed a clarinet, so you can give him one of yours. Of course. I’d be honored to do something like that for him. It’s a nice thing to be able to do – I mean, designing an instrument – and a nice thing to be able to offer him. It’s the least I can do. He’s a legend, an absolute legend. I saw his lifetime Grammy when I was there as well. It’s the first time I’ve seen a Grammy in the flesh. It was alongside his countless other Grammys and awards. Hopefully I’ll have one myself one day. Have you seen him play with his quartet – with Danilo Perez, John Patitucci and Brian Blade? I saw him play with his quartet in London a couple years ago and I got to go backstage and see him, and he also did a piece with his quartet and orchestra there, and I got to meet his band and sit down and chat with those guys. They’re all phenomenal musicians. It’s mind-blowing what they can do. He was telling me about rehearsing what they do on stage. He said, “You can’t rehearse the unknown.” They just get together and they just play. And that’s really refreshing and an interesting take on the whole thing. I’ll have a smile on my face for days after seeing him. You wrote on your Facebook page, “Had a sneak peek at some of the Concerto and I can’t wait to play it!” Is Wayne Shorter writing something for you, or is he writing something that you will play at some point? He’s writing a concerto for me, which is … amazing doesn’t come close. It’s going to be a phenomenal experience and I’m incredibly lucky to be able to work with him. It’s was a bit of a long shot dream when I asked him, but I was incredibly happy when he said yes. It’s going be great to see it and play it. I think it’s going to be quite fun for him to write it, as [the clarinet] is an instrument he knows very well. The clarinet and saxophone share a lot of similarities, and from what I’ve seen, he’s having a lot of fun with it. He says he wakes up sometimes at 4:00 in the morning and the music is like a journey through his mind, and he’ll have this sudden wave of inspiration and go and write. It’s fascinating to see. He writes everything by hand still. Everything is done by hand. Will this be something you perform with a classical orchestra? Yeah. My idea was to bridge the worlds between jazz and classical. There’s this big separation between the two genres, and I don’t really like it. Surely, we should play good music, no matter what it is, and there’s lots of music that’s both jazz and classical. For example, take [the music of] Gershwin, Bernstein, Copland. At times it’s jazz, but is it classical? That was the fascination for me, to try and do something where an undisputed legend, an absolute hero in the jazz world, writes something for a classical orchestra and a predominantly classical player. I think at times it will be jazzy; at times it will be classical. Like his own playing onstage, it’s going to be a bit of a journey – the unknown. And I’m really excited. I shall really want to see that. I want to see all the music and I want to play it now, but I’ll have to wait. What’s the timeline on this? How is it going to unfold? I believe it’s going to be this year. There are still a few things to finalize. Hopefully I’ll be able to bring it to the U.S. I believe there’s a concert scheduled in England, but hopefully it’s something we can bring to the U.S. afterwards. It’ll be a pleasure to tour. I love coming to America, and it’s always one of my favorite places to travel, and I seem to spend a decent amount of time here these days. It’ll be good to bring [the new concerto] back here, and hopefully [Wayne Shorter] can come along for a couple of the concerts. Brooklyn-based jazz trumpeter John Raymond is a frequent visitor to the Midwest. He grew up in Minneapolis, where his family still lives, and went to college in Eau Claire. He returns to see his family, gig with old friends and, more recently, play CD release shows: for “Strength and Song” in 2012, “Foreign Territory” in 2015 and now “John Raymond and Real Feels,” his latest, available in February. For “Real Feels,” Raymond organized – on his own – an ambitious two-part touring schedule of 26 performances and master classes in 22 cities on 22 days, beginning Jan. 21 in Indianapolis and ending Feb. 26 in Akron, OH, after swings through the Midwest and the West. On Saturday, Jan. 23, “Real Feels” came to Vieux Carre in St. Paul. 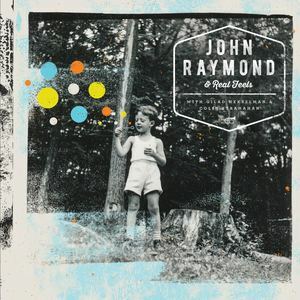 The self-released “Strength and Song” was Raymond’s first album, recorded as the John Raymond Project with Gerald Clayton on piano, Gilad Hekselman on guitar, Tim Green on alto sax, Raviv Markovitz on bass and Cory Cox on drums. It’s mostly original compositions, a solid introduction to his songwriting skills and distinctive tone. “John Raymond and Real Feels,” on the Twin Cities-based collective label Shifting Paradigm, is a bassless trio with Raymond on flugelhorn, Hekselman on guitar and Colin Stranahan on drums, playing some very familiar tunes: “Amazing Grace,” “Scarborough Fair,” “This Land Is Your Land.” It’s simpler, looser and more relaxed than “Strength and Song” or “Foreign Territory.” Raymond, Hekselman and Stranahan – then called the Roots Trio – recorded it in Minneapolis soon after playing a concert in St. Paul in Sept. 2014. 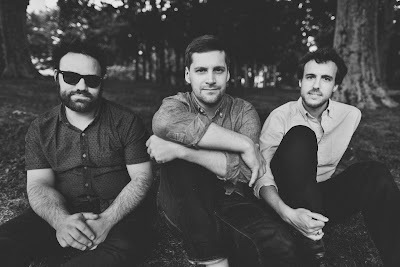 “Real Feels” could have come out in fall 2015, but Hekselman was on the road with his fifth album as leader, “Homes,” Stranahan was busy and it seemed best to wait. So though the new CD is technically not brand new, it feels like a new direction. Stripped down and agile. Still jazz, but other things, too. Wide open. Raymond and I have formed the habit of meeting for long, rangy conversations once or twice a year, catching up on where he’s been, looking ahead to where he’s going, finding out where his head is at and also, often, his heart. Our most recent talk was in Minneapolis on Dec. 29, just before the turn of the year. PLE: You were the Roots Trio when you went into the studio to record this music, and now you’re Real Feels. What happened? JR: Band name change. Big moment. I decided to change it partly of my own volition, and partly because the other guys were saying, “You know, this kind of sounds too much like The Roots.” Or “roots music.” Which to some extent it is, for me, but not in the way that maybe it’s thought of. And I felt like “trio” made it sound too jazzy. Turns out that band names are hard to come up with. I spent three or four weeks making list after list. Then suddenly I thought – Real Feels. I looked back and had actually written that down on one of my first lists. What does Real Feels mean to you? When I think about playing with this band, and the band itself, it feels very authentic to who I am, and it feels very real. It helps that it’s a trio, because a trio can function in a different capacity than a larger group. It’s smaller, more intimate. There’s a different sense of communication going on. I feel like when we play for audiences, that’s a huge selling point. People come away saying, “Wow, we can really connect to this band.” A lot of people have told me they don’t really like jazz, but they love this band. Many people have said they don’t like jazz without knowing what they’re talking about. Yes, and that’s fine, but it meant something to me. It was like – okay, I must be doing something that’s connecting with them. For me, with this band and this music, there’s a continued feeling of no pretense. It’s just who I am. It’s a much more relaxed version of myself. The “Foreign Territory” version of myself is more searching and introspective. But I’m thinking about doing another record with Billy and Dan and Joe. I did a really short tour with that band in September and it was awesome. A life-changing experience. Three days with Billy! I came out of it very different. There’ve been times when I’ve played with Billy and felt like he was playing too loud for what I wanted, or pushing me in directions I might not have wanted to go. I always kind of felt like he wasn’t listening. We had a couple conversations during the tour that opened my eyes to his process. Billy took that with him. He said that every trumpet player he’s ever played with more or less wanted the same thing. He said that and left it with me, and I had to process it and chew on it. He didn’t explain it at the time. I asked him about it toward the end of the tour. He said it didn’t mean volume or range or whatever. It meant intensity. Billy knows that a trumpet player has to bring a different intensity level than everybody else because that’s what the trumpet demands. He said that even when he played with Art Farmer – who I love and asked him about a lot when we were playing together – Art would call tempos that Billy could hardly play, they were so fast. Those were symbols, or signals, of the intensity of Art’s playing. Billy also talked about how all trumpet players came out of the Big Band tradition. That’s why they’re as strong and intense as they are. I told Billy that I had a thorough education in playing with big bands. He said to me, “You need to go back and check that out, and deal with that a little more.” That got me thinking, “Do I play differently in a big band than I do in my quartet?” And the answer was yes. Billy let me process that and chew on it, and I took it to mean that I need to be more assertive with my own voice and what I really want to say. The last night of the tour – the night before had been disappointing, at least in my own mind – I decided to put it all out on the table. I didn’t care what anybody thought, and I don’t even know what was going through my head, but it was clearly the best the band had every played together, and I’m convinced it was because I was more assertive than I had ever been. And Billy played totally differently. As soon as he felt that I was asserting myself, he followed me instead of pushing me. That was a life-changing night. I came away feeling like, “Okay, I know I have it in me now. I can play like this.” So now I just have to do it all the time. It’s hard for me because I thrive when I feel comfortable, whether that’s with somebody else in a conversation or on the bandstand. I don’t like being in situations that feel hostile or uneasy. That’s something I’ve had to work through, because I’ve realized I have to create my own comfort, no matter what the situation. I feel like there’s a voice in me now saying, in a stronger way than ever before, “Be yourself. Do your thing. Don’t wait on anybody else, don’t worry about anybody else. To some extent, don’t even listen.” I’m obviously listening and wanting to communicate with the musicians and the people I’m around, but I can’t let that be the deciding factor. When you’re playing in someone else’s band – with Orrin Evans and his Captain Black Big Band, for example – don’t you run the risk of overstepping? With Orrin, it’s unique because he wants that. He encourages it. We have this weekly Monday-night thing at Smoke Jazz Club, and we’ll do largely the same songs every week in different order, maybe throw in some curveballs we haven’t done for a couple of weeks. Even if it’s expected that a song will start out with a certain intro, or a certain person is going to solo, there have been times since this tour when I have felt so strongly I have to play – I want to play right now – that I’ll just start taking an intro. Orrin will be like, “Okay, you got it.” Everybody else is cool with it, too. You’ve been playing with a lot of interesting people: Orrin Evans, Ethan Iverson, Sullivan Fortner. When Colin Stranahan was unavailable for some of the trio dates, Rudy Royston stepped in. Rudy told me a story about playing with Ron Miles. I’ve never met Ron Miles, but I love Ron Miles. Ron was one of Rudy’s mentors growing up, and they would do all sorts of gigs together. Rudy remembers doing a gig at a country club, some private event where Ron was playing the most avant-garde, out stuff. At first Rudy thought – what’s happening? The thing he told me is that Ron has always done his own music in his own way. In recordings I’ve heard, I can sense that here’s someone who has a strong musical vision, and is also a warm, kind, lovely person. I really want to meet him. In February, Real Feels is going to Denver – that’s where Colin is from – and we’re doing a clinic at Ron’s school. I’m excited. In an interview with Revive, you said this about Real Feels: “The music we play all ties back to my roots as a simple, faith-centered Midwesterner.” I get the “faith-centered Midwesterner,” but “simple”? I’m seeing “simple” as maybe in comparison to the people I’m around in New York. And Midwestern life is so much simpler than New York life. Are you still struggling with living in New York? Yeah, a little bit. Especially now with [baby daughter] Nora. [Wife] Dani and I both love the Midwest, and we love Minneapolis. But I also love Brooklyn and where I’m at and being around the people and things I’m around. There are definitely trade-offs. When I come home for vacation – granted, it’s vacation – life is simple here. That’s what Real Feels feels like to me. It brings out that part of my personality that’s comfortable, relaxed, and simple. I’m not distracted by the hustle and bustle of the industry and the city, the press and labels. That’s how I feel coming home. Not necessarily that I’m a simple individual. With Real Feels, we’re pushing the music. But it’s not an urgent push. It’s more like – let’s take it here. It’s more of a joyous surprise than a search, search, dig, dig. I guess the ambitious part of me comes out in the “Foreign Territory” music, and my domesticated fatherhood comes out in Real Feels. Something like that. You’re enjoying being a dad? Love it. It’s great. The best! It helps when you have a really great, sweet little daughter. She’s been the best baby and she’s cute as heck. I beam when I talk about her. Everybody says that. I go into full-on dad mode. What are your hopes and expectations for 2016? First, we’re doing a couple of tours. I’ve basically done all of the work myself, which has been incredibly strenuous with a child. It was definitely overambitious, and it has ground me down and worn me out. While I’m excited to have done it and I think it’ll be great for me and the band, I realize I can’t do things like that and have a sense of saneness and normalcy and be a good dad and a good musician. It took too much time and energy. A lot of hours, details, and organizing, contacting a lot of venues and a lot of schools. I’m trying to branch out into other parts of the country where I haven’t been. We’re playing at Dazzle in Denver, the Blue Whale in Los Angeles and the Royal Room in Seattle. I bought a whole bunch of Real Feels merch to sell. That’s a totally new thing, and I’m taking a risk with it, but I’m excited to see what happens, especially with this band, because I think this is the kind of music where people will be into the merch thing. I’ve taken a lot of risks in 2015 and done a lot of stuff. I feel like 2016 is going to be a year when I’m recalibrating. I don’t think I’ll spend as much time or effort booking big-scale things like tours because I want more time for the music. 2015 was a business experimentation year. In 2016, I want to keep advancing the music, making smarter choices now that I have that experience and have taken those risks. I teach [at the United Nations International School] three days a week. Twenty-three students, mostly private lessons, some paired lessons. I have the middle school jazz band and a class of beginning fifth-grade trumpet players. For a long time, I wanted teaching to be the side thing, but I’ve realized that teaching is part of my identity. I want it to be more of a main thing, but not lack depth and ambition with music, performing, writing and recording. I’ve realized in the past six months how much I love teaching. The reason why is the connection with the students, beyond music. My role is only half to teach them music. The other half is to be a figure in their lives who can impact them and shape how they see the world, how they see themselves. Teaching them what hard work looks like, and what discipline looks like. I think that’s the father in me coming out. Teaching is more rewarding to me sometimes than playing out. So I think 2016 will be more of a year of being okay with that and maybe performing a little less. And when I am performing, doing that with more depth and assertiveness. Dave Douglas. Here’s a guy who admits that in his first five years in New York, he wasn’t doing well and wasn’t getting called. I’m still not getting many calls to be a side man, which has been hard. Dave kept doing his own thing, and now he is where he is today. I’ve gotten to know Jon Irabagon. I think he’s one of the most fascinating musicians on the scene – all the stuff he does with different bands. He’s in Dave’s band, and Mostly Other People Do the Killing, and he does his own stuff. After that tour with Billy, Dan and Joe in September, I felt a strong sense that I need to go back and do some homework with certain things, holes in my playing. I got so into Lee Konitz, and I knew he was a [Lennie] Tristano man, but I’d never really checked out Tristano. So I started to get into Tristano and I’ve been obsessed with his order and melodicism. I’ve been digging in on a deeper level and trying to get that into my playing. I’m also really into Mark Turner. I transcribed a Mark Turner solo I really wanted to check out, on a blues. I’ve been studying it, how he’s thinking about navigating certain chord changes, certain parts of the form and phrasing. Turner got hooked on Warren Marsh, who was a Tristano disciple. One of my other goals – I’ve said this for a year now – is to get a lesson or two with Lee Konitz. And Mark Turner. What happens in a lesson with someone like Lee Konitz or Mark Turner? I don’t know! I’m curious. I’ve heard that lessons with Lee are a lot of singing and playing. And going back and listening to Lester Young. With Lee, a lesson could last a few hours. With Mark, I’ll bet it will last an hour. I literally live a block away from Mark, so it’s silly I haven’t contacted him up to now. I want to pick his brain about how he adapted Tristano. I think Mark is incredible. He’s one of those people who balances – Billy even said this – the Coltrane virtuosity on the horn and a lyrical, melodic sense. Along with becoming a father, what was the high point of the year for you? I don’t think it was one moment, but a gradual thing of becoming more comfortable in my own skin. Becoming a father helped that, because it made me realize on a logistical level that I don’t have time for certain things anymore. It prioritizes things. It also made me play music way better. It’s just more sacred to me now. You’ve mentioned wanting to be more melodic. We visited Nashville this summer – me and Dani and Nora – because they had an exhibit on Bob Dylan and Johnny Cash. It was a cool experience for me because I felt it was very much along the lines of what I’m into with Real Feels. Are you drawn to country music? I’m drawn to it in the sense that it’s about storytelling. White American music traces back to country music, simple folk songs that tell stories about a time, a place, a person or whatever. I’ve been drawn to that, trying to communicate that as an improviser, trying to tell a story without words that gets across the same kind of feeling that a Johnny Cash song does, or a Bob Dylan song. When I think about what I can contribute to music, I feel like it’s going to be down that road, in an instrumental, lyricless way. I’m going to spend a lot more time this year composing. I haven’t composed much this year. One way I can make my voice unique, assert myself more and grow is through my compositional voice.